I did not know that on lands with oil and gas reserves, there is often a practice of what is called “Split Estate”, where the landowner (and homeowner) owns the surface but another party owns the mineral rights underneath. (Somehow this reminds me of “air rights” in New York City for Donald Trump.) In many cases, surface or homeowners are not compensated for disruption to their land necessary to extract minerals, often natural gas by fracking (or fracturing). The 2009 film by Debra Anderson for Red Rock Pictures, narrated by Ali MacGraw, presents some families near Rifle and Dry Hollow (near the Roan Plateau), in western Colorado, as well as some more families in northern New Mexico, affected by the practice. In some cases, there have been out-of-court settlements, but then homeowners or landowners are gagged and not allowed to tell the media the truth (or blog about the issue in social media). There was one family told to keep windows open so their home would explode as methane gradually accumulates. Toward the end of the film, the medical issues for many families are documented, and these include adrenal tumors and bleeding disorders. In Congressional hearings, Rep. Waxman asks why energy companies don't play by the same rules as the rest of us. The oil and gas industry is depicted as largely exempt from the ECPRA, or the “Community Right to Know Act”. 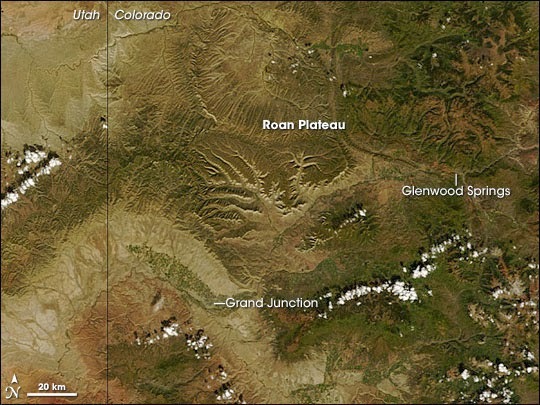 Wikipedia attribution link for aerial picture of Roan Plateau. I was in the area in 1966, and then again in 1973. In my own family, mother’s side, a relative had a gas well near Wellington, Ohio, which provided income for many years without incident. So I know that some landowners in many states do have the mineral rights. This would not apply to surface mining (“mountaintop removal”) of coal, where normally no one lives – but it would apply do damage to surrounding water tables and streams, as documented in other films about the coal industry.